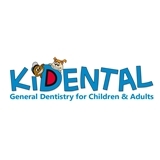 Kidental (Sandy Springs) - Book Appointment Online! Our office setting is very calming for patients and their families. The office is decorated to appeal to children and we provide a number of child friendly diversions such as flush mounted televisions in each treatment room. In addition to the office setting, we have warm and friendly staff who understands your dental anxieties and will strive to make your every visit a pleasant one. Explains everything very well. Friendly staff, loved the atmosphere has a very positive vibe.